As often mentioned here, I’m a big fan of iPad stands. iPad stands that are versatile – even more so. The Versastand Folding Desking Stand for iPad (which will be referred to as just Versastand for the rest of this review) is touted as being amongst the most versatile you can find. Heck it’s even got a part of versatile in its name – that’s gotta be a good omen. I’ve been trying one out for a few weeks now and have some thoughts to share. 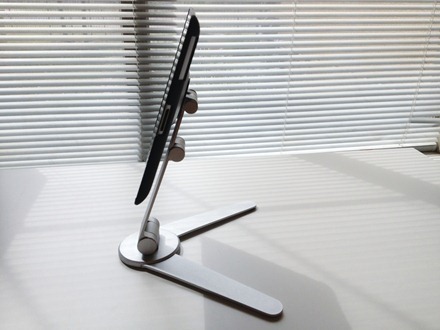 As the name implies, this is a desktop stand for the iPad, that can be folded away for use on the go. The Versastand is compatible with the iPad 2, 3, and 4 (or iPad 3rd and 4th gen). You need to use the back cover case provided with the Versastand in order to use the stand – as there’s a connector piece that’s integrated in it. It’s part of family of stands from Ergotech Group – others in the line include a kick stand, a surface mount, and a side monitor mount. The Versastand is currently available for $79 at Amazon. 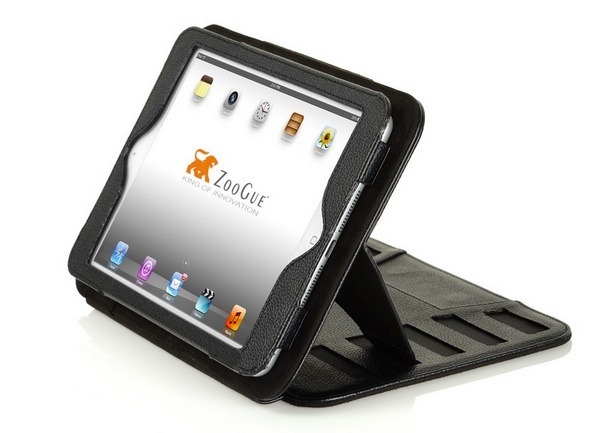 ZooGue’s iPad Case Prodigy is a case and magnetic stand that’s billed as ‘insanely convenient’. I’ve been using one for several weeks now and finding that there’s a lot to recommend about this case. So I’ll dive straight into the review. 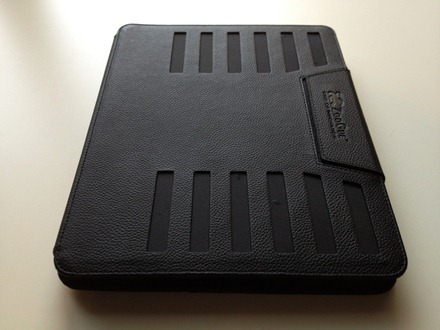 The iPad slots into a frame inside the case and the front cover is closed with a magnetic clasp – which you can see in the photo above. 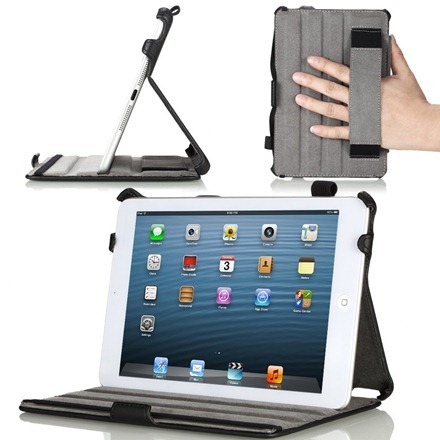 This case is compatible with the iPad 2, and the 3rd and 4th gen iPads. The case comes in black and is priced at $59.99. 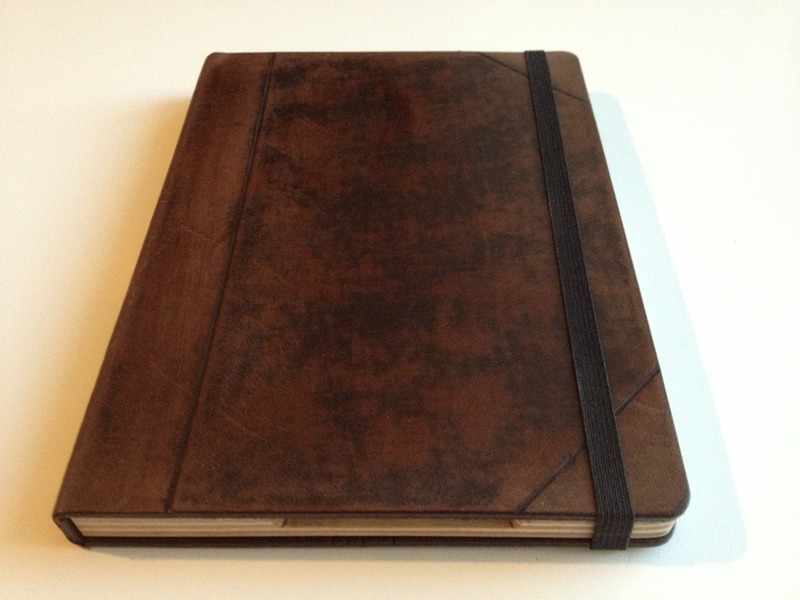 As some of you will recall, I’ve done a review of a Portenzo Composition Case for iPad 2 in the past, and was very impressed with it. So when I saw that Portenzo had a nice new lineup of cases for the iPad mini, I put my hand up right away to try out some review units. The first one I received is the Alano for iPad mini. I’ve had it for several weeks now and have had a chance to use it a lot around my home / office and while out and about. Automatic Sleep/Wake feature – Just like the Apple Smart Cover! Hand sanded American Maple frames with Smooth radius corners for a truly unique look. Double-Glued elastic band won’t ever come undone! The elastic band covers the camera when the cover is closed. Optional Soft Seal Camera Access Port on the rear cover. Optional IntelliStand adds the versatility of more viewing angles to your case. This case comes in 7 styles including Midnight Black, Indiana Journal, and the Old Book style that I chose for my review unit; as well as a selection of 7 colors for the case’s elastic strap. The base price for the Alano for iPad mini is $99.95. You can choose to add-on a camera opening for around $5, a stylus compartment for around $10, and the Intellistand feature (which offers more viewing angles) for around $20. 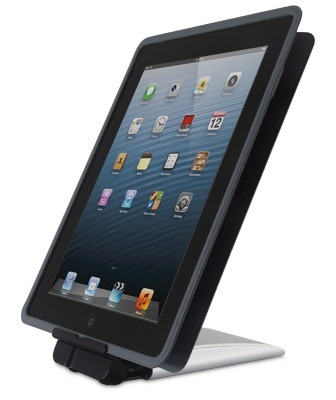 iOstand is a sturdy, magnetic stand for the iPad and other tablets. 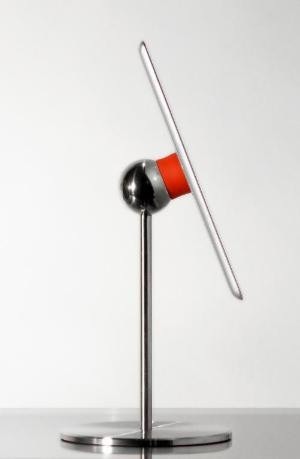 The promo for it claims it ‘allows for instant mounting of your device and rotation in practically any direction’. I’ve been testing one out for a few weeks and I’m impressed with it. The iOstand comes in three colors – Black Powdercoat, White Powdercoat, and stainless steel. I received the black model as a review unit. The razor-thin (.025″) iOadapt™ adheres instantly to your device and snaps to the iOcore™ adaptor. The iOcore provides nearly limitless viewing angles by allowing your device to rotate in any direction around the precision machined iOsphere™. Detaching your device is just as easy as snapping it on. Simply grab and pull it off from the iOcore™. The iOadapt piece has a high strength adhesive and is very difficult to remove, so the makers recommend installing it on a case rather than the iPad itself. 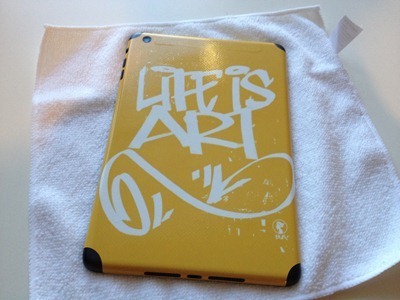 I took their advice and applied it to my Padintosh back cover case for the iPad. iOSstand is priced at $100. My iPad mini has a new best friend: a lovely new Gelaskin for the back of it – as you can see above. I’ve posted many times here about how much I enjoy using just an Apple Smart Cover and a Gelaskin as the ideal combination for my bigger iPads. — Their designs are always creative, striking, and just a real pleasure to look at on the iPad. 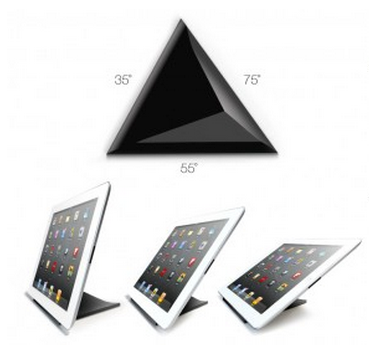 The FACET iPad Stand started out as yet another iPad focused Kickstarter project. I backed the project and felt quite keen to see how this product turned out. It met its funding target and a couple days ago I received my Facet stand for the iPad. iPad stands are not difficult or complex items to review, as they’re a very useful but quite basic sort of accessory most of the time. This one is even easier to review, for all the wrong reasons. In fact, for just one (very) wrong reason: it doesn’t work. 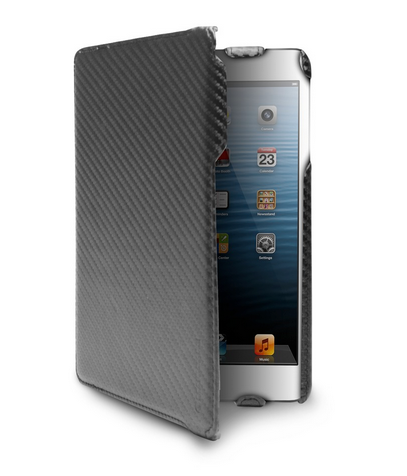 It not only doesn’t work – it also puts your iPad at risk of getting damaged. Facet is a pyramid shaped stand for the iPad that offers three slightly different viewing angles via its three sides – at 35°, 55° and 75°. The lowest angle that’s meant to be good for typing is not really low enough to be comfortable – but this is the least of your worries if you try this stand out.